Breast Cancer isn’t all the same. There is a type of breast cancer called “triple negative” which has limited treatment options and the worst chance of survival. Triple negative breast cancer is generally diagnosed based upon the presence, or lack of, three “receptors” known to fuel most breast cancers: estrogen receptors, progesterone receptors and human epidermal growth factor receptor 2 (HER2). The most successful treatments for breast cancer target these receptors. Unfortunately, none of these receptors are found in women with triple negative breast cancer. In other words, a triple negative breast cancer diagnosis means that the offending tumor is estrogen receptor-negative, progesterone receptor-negative and HER2-negative, thus giving rise to the name “triple negative breast cancer.” While triple negative breast cancer is typically responsive to chemotherapy, triple negative tumors generally do not respond to receptor targeted treatments. Depending on the stage of its diagnosis, triple negative breast cancer can be particularly aggressive, and more likely to recur than other subtypes of breast cancer. New research explains why some cancer cells don’t respond to chemotherapy, and identifies a mechanism to rectify that. The team at Western’s Schulich School of Medicine & Dentistry, led by Shawn Li, PhD, identified that a protein called “Numb” functions to promote the death of cancer cells by binding to and stabilizing a tumor suppressor protein called p53 -a master regulator of cell death. The scientists found when Numb is reduced or methylated by an enzyme called Set8, it will no longer protect p53. The research is published in the May 23rd issue of Molecular Cell. A related research paper on the role of chemotherapeutic agents on regulating protein methylation, also from the Li lab, will be published in the June 7th issue of Molecular Cell. Now that they’ve identified the Set8-Numb-p53 pathway, Li and his team are investigating various drugs to find a Set8 inhibitor which could be used as a novel breast cancer therapy alone, or in combination with other chemotherapy regiments. The TNBC Foundation® is devoted to finding targeted treatment for triple negative breast cancer. With your help, we will find a cure. 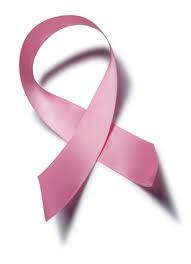 The Lewis Law Firm has a history of representing women who are diagnosed with breast cancer. 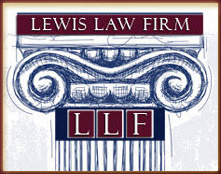 If you are in Philadelphia or New Jersey and you or a loved one have been diagnosed with breast cancer contact the Lewis Law firm today for a FREE consultation.